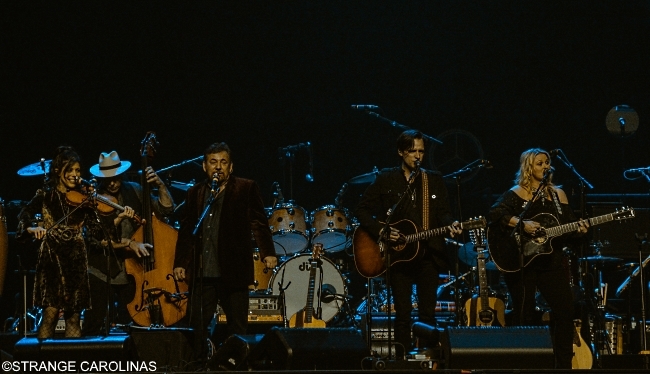 JD & The Straight Shot opened for the Eagles on April 11th at the Spectrum Center in Charlotte, NC. Despite playing to a half-empty house (the band went on at 7:00 PM, but the tickets read 8:00 PM, so people were still filing in as the band played their set), the crowd was up and dancing to the band's brand of Americana. 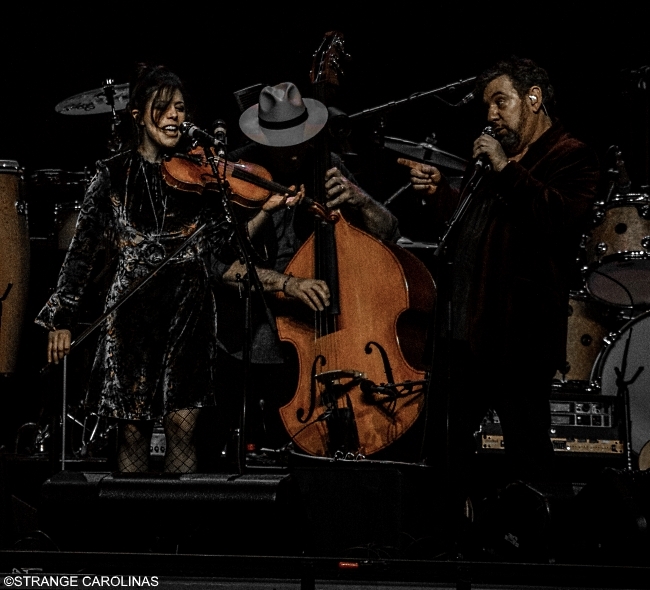 JD & The Straight Shot consists of guitarist Marc Copely, bassist Byron House, violinist/fiddler Erin Slaver, drummer/percussionist Shawn Pelton, guitarist Carolyn Dawn Johnson, and lead singer JD, aka James Dolan. 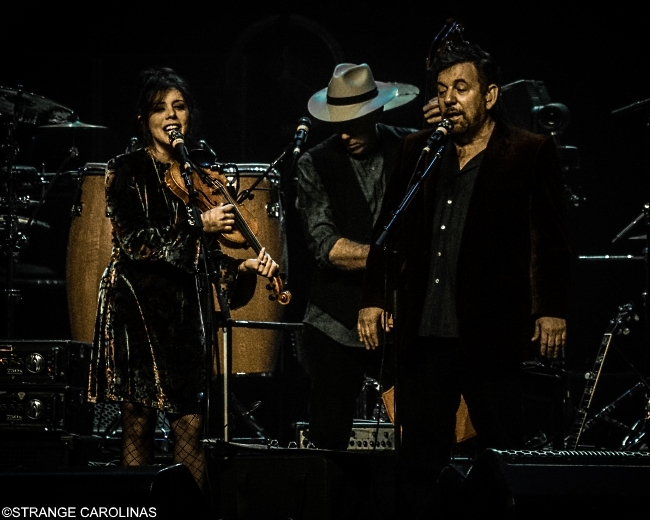 Yes, that James Dolan. The guy who owns the Knicks. Dolan is a fine singer and frontman and has surrounded himself with some great musicians. The group's harmonies were on-point and the band was tight and had great chemistry, especially between Dolan and Slaver. 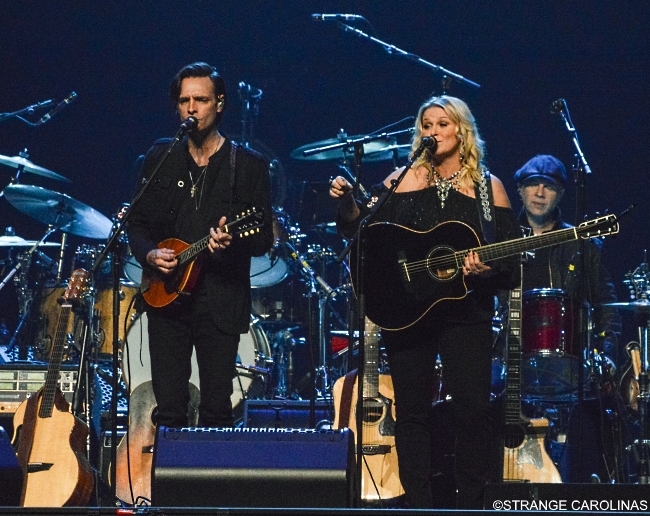 JD & The Straight Shot will be opening for the Eagles on April 17th in Raleigh at PNC Arena.